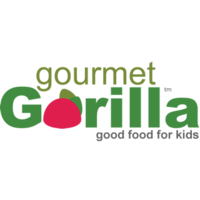 Gourmet Gorilla is looking for a Client Account Representative to join our customer support & sales and marketing teams! This position will be very dynamic and requires collaboration with every department in the company. A successful candidate is one who is focused, competitive and driven by a passion for the mission to deliver good food to kids. You should have strong moral character, with a willingness and appreciation for open dialogue and transparency. An ability to facilitate or be part of a team is essential. Have an innate empathy with a keen interest in educating or being educated while building community in and around the organization. Someone who constantly strives for greatness through problem solving and innovation. Manage challenges with energy, balance and perseverance. Someone who is driven by our mission to bring good food to all children.